The area near the house is very important when it comes to reducing the risk of bushfire attack. 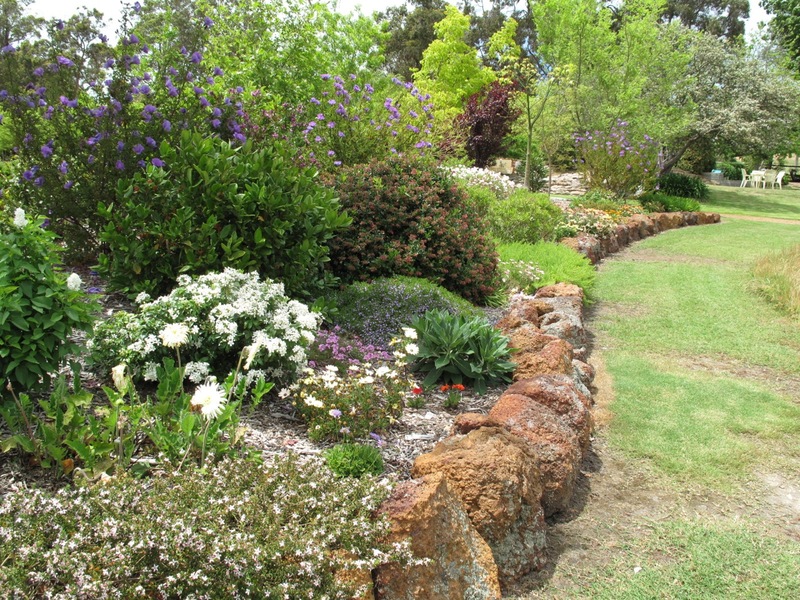 A garden with a low risk of bushfire attack. The type of plant, its position and its condition can make a big positive difference to how well the house survives a bushfire. Shrubs kept small, deciduous trees, grassed areas, use of rocks as border, not wood, all help in reducing the risk of bushfire attack. There is more information with links to useful sites from a note that I have just updated about Firewise Gardening.